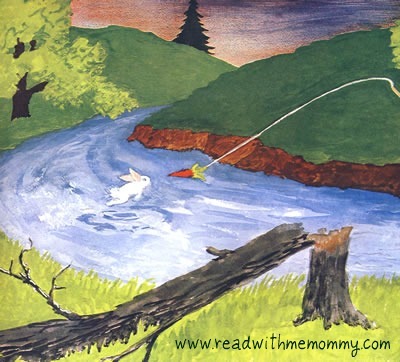 The Runaway Bunny, written by Margaret Wise Brown, was first published in 1942. 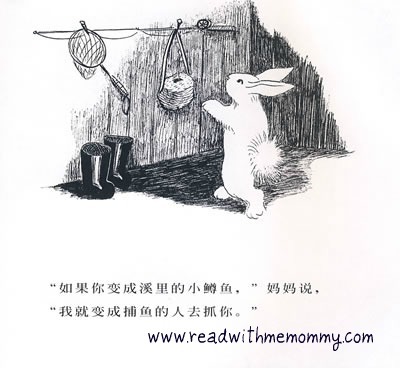 Generations of readers have fallen in love with this gentle magic of its reassuring words and loving pictures. 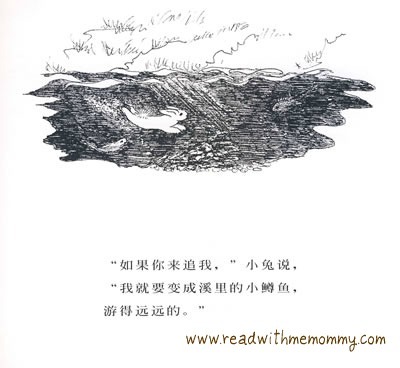 A comforting story of a bunny’s imaginary game of hide-and-seek and the lovingly steadfast mother who finds him every time. 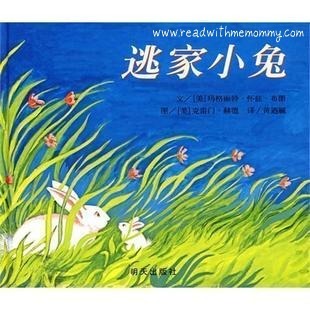 This book has been reproduced into numerous languages and this is the chinese version. This book has become a classic and is worth keeping for future generations. The English version has been one of the best-sellers on Amazon. We would recommend that parents who are teaching their child English and Mandarin, to consider purchasing the book in both languages. This book is available in soft cover.